Oh Cujo...you have my heart. Second book in the Second Circle Tattoo series, featuring Cujo (aka Brody) and Drea. I just fell head over heels for Cujo, he was just written to perfection. So laid back and sweet, but with such a delicious dirty mouth. :-) Swoon!! Drea was a bit all over the map for me, but it wasn't as if I could dislike her, she'd gone through so much! I just didn't love her character as much as Brody and didn't really feel the same empathy for her as I felt for Harper in book one. Still, they made a good couple and I found myself rooting for them to have their happily ever after. Drea has been caring for her sick mom since she was 17. Growing up fast and taking care of herself and her mom, Andrea hasn't really ever known what she wants out of her life. She is just sort of surviving and existing. Her best friend is getting engaged to Trent. He's co-owner of Second Circle Tattoo, along with his longtime buddy Cujo. Brody and Drea decide to get together to throw their best friends an engagement party, and while they can't agree on much of anything, they do have some SERIOUS chemistry. Drea isn't in the place she feels is fitting to start a relationship, between working two jobs and caring for her mom. Brody swears off love like it's the plague after watching his mom walk away from her husband and family. But he knows Andrea deserves more than a one-time thing, he's just not sure he can be that for her. The story also has a plot line that follows Cujo's mother, who abandoned her family for a career that put her in grave danger. Drea ends up encircled in the environmental scandal that follows Cujo's mom back home to Miami. While I found myself skimming some of the details on the whole scandal aspect of the story, I was in it 100% for Brody. What a fantastic series! The combination of great characters, a wonderful Miami setting, and exciting storylines add up to a new favourite series and author. Saying that, this second book is probably my least favourite of the four books. Drea and Cujo are a fantastic couple by the end but for me, there were a few too many overused romance tropes on the way to their happily ever after. Drea’s life as a carer for her manipulative, unwell, and ungrateful mother is distressing from the start. The contrast of her restricted life with Cujo’s life as an independent self-made businessman with a large circle of friends and family was almost heartbreaking. I really enjoyed watching Drea develop a sense of independence (and the ability to ask for help) over the course of the book. I didn’t enjoy Drea’s defensive, bitchy attitude at the start of the book. While I could understand why she was frustrated, she just seemed mean at times and I struggled to understand Cujo’s attraction to her. There were also too many moments of miscommunication and a little bit too much angst for me in this story. The suspense aspect of this story isn’t as natural as it is in the other books in the series and I felt it became far too complicated by the end. Despite my reservations, this is still a Scarlett Cole book and the author has a way of wringing emotions from me. I really enjoy her characters and I love her writing style. This series deserves to be read in order as new characters are introduced and the Second Circle gang continues to grow and develop. 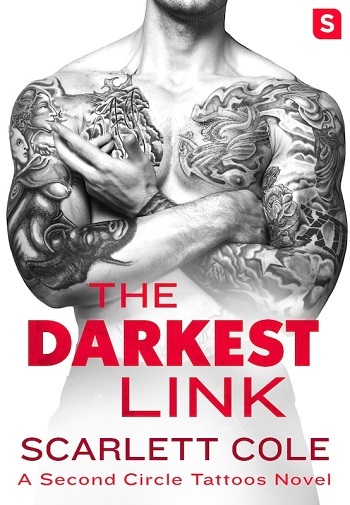 This is the second in the series and although deals with the romance of another character from the tattoo shop, would be best read as a follow on story. They are so good, it would be silly to miss out on book one anyway! Parents, and here mothers in particular, and the way that they can damage their children are key to this pairing. Never let it be underestimated how important unconditional love from a mum can be to a child. Drea, in spite of her mother's unpleasantness, has devoted her life and funds to look after her. Cujo, having been abandoned by his mother aged 8, doesn't believe he should form a long term relationship in case he fails... Yet these two people have such strong attraction to each other that they almost can't bear it. Add a mystery, a restoration of a family member, and a lot of party planning, and these two may just surprise themselves, and give us some insight into just how hot chemistry can play out! Delicious, entertaining reading. For reviews & more info, check out The Strongest Steel post. For reviews & more info, check out The Purest Hook post. 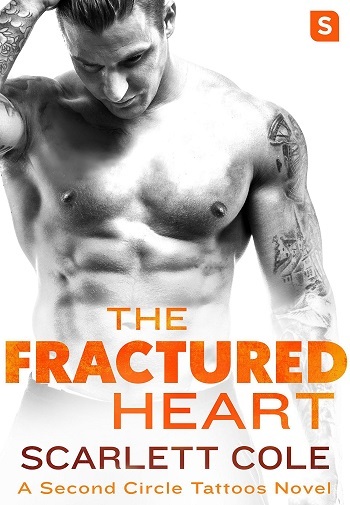 Reviewers on the Wicked Reads Review Team were provided a free copy of The Fractured Heart (Second Circle Tattoos #2) by Scarlett Cole to read and review. Review copy was purchased by the blog.